A video gaming truck is one of the best entertainment options out there if you are throwing a party for your child, especially if he or she is a huge fan of video games. A video gaming truck is often a large truck or bus filled with a wide variety of gaming devices, televisions, and games that will come to your home and set up a gaming space for your child and his or her friends. 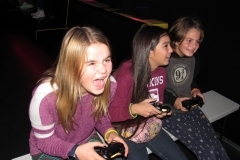 Listed below are three reasons to consider renting a video gaming truck from a company like Out of Control Gaming for your child’s party. One of the most important considerations for any child’s party is making sure that every child at the party is being entertained, mostly because you do not want any of the children to feel left out or excluded. A video gaming truck can help you avoid this issue as the staff will set up multiple gaming stations that will allow numerous children to play on each station at the same time through the use of multiplayer games. In addition, the video gaming truck will also have the ability to let those various stations play with or against one another so that all of the children can feel like they are interacting with one another. Another reason to rent a video gaming truck is that the truck itself will provide your child with access to all of the latest consoles and PC gaming technology alongside the newest games in order to let your child and his or her friends enjoy the most modern gaming experience possible. This is a huge benefit as attempting to acquire all of that gaming technology and accessories for everyone to play would easily end up costing thousands of dollars. Finally, you will want to consider renting a video gaming truck because it will make the cleaning process after the party much easier to deal with. The reason for this is that most of the entertainment setup will be the video game truck, which the staff will pack up and clear out for you. In addition, the mess from food and drinks will typically be localized around where the truck was parked, which makes it much easier for you to clean up as you will not have to wander around your home and property to pick up trash, plates, and food that the children left behind. Contact a video gaming truck service today in order to discuss the many ways in which they can assist you with your child’s party. A video gaming truck can keep all of the children entertained, provide access to the latest in video game technology, and make it easier to clean up after the party is over. When your son becomes a teenager, it can sometimes be difficult to know what type of birthday party to throw him. He will be too large to have a clown or magician and too young to take to a dance hall for a night on the town. A great compromise is to hire a video gaming truck to come to your home for him and his friends to enjoy for a few hours for his birthday. 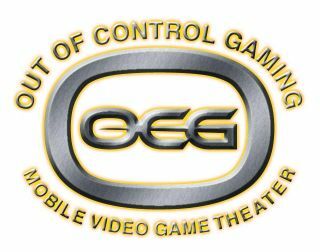 Use the guide below to learn a few things to consider when renting a video game truck from a company like Out of Control Gaming. The first thing you need to do is you need to create a guest list to determine how many people your son wants to invite. If he only wants to invite a few friends, then the gaming truck will be perfect for the party. If he wants to invite a lot of friends, it is important to explain to him in advance that some of his friends will have to wait while the others play because there more than likely will not be enough controllers for fifty kids to play the games at the same time. You want to be sure that the children play games that are appropriate to them. There are some games that are rated for 13 years old and up. Some of his friends may not be quite 13 yet, or their parents may not be okay with the content in some of the games that are rated as being appropriate for their age range. Let parents know ahead of time what type of party you are throwing and have them sign a release form that states what gaming restrictions they have for their child to ensure that the gaming truck can bring games that everyone can enjoy. When your child has a gaming truck party, the televisions and gaming systems are often attached to the outsides of the truck. That means that you may need to provide seating for the children, as well as a few canopies for them to sit under so that they are not left in direct sunlight for hours on end. Be sure to talk to the gaming truck company about seating to make sure that they do not provide it because some companies do. 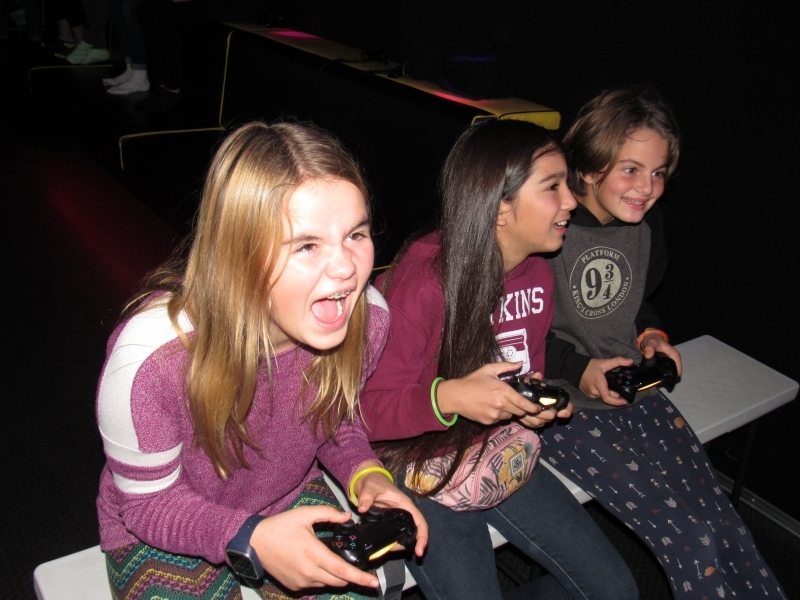 Book the gaming truck a month or two before you need it because it is quickly becoming a very popular birthday party option. The truck should arrive ready to go so that the children can start playing the games right away. When one of your children is celebrating a birthday party with friends, and you’re looking for a special attraction that will keep the youngsters engaged for hours, a video gaming truck can be the answer. However, there are many other times that you can consider renting this truck loaded with the latest console games. Renting a video game truck for an engagement is ideal because it can provide more playing time for the kids — when children gather around a gaming console at someone’s house, typically only a few people can play at the same time. Here are some other types of gatherings that a video gaming truck can be a perfect addition. If you administrate a sports league or run a sports team, and you’re looking for an attraction for your year-end banquet, a video gaming truck can be a perfect addition. The companies that manage these trucks provide a selection of games, but you can tie the video gaming experience into your chosen sport by making sure that you can get sport-specific games. For example, if you run a youth basketball team, the latest NBA video game is sure to be a popular feature for your young athletes. While a bar mitzvah has a ceremonial element, many parents also look for some sort of unique entertainment to celebrate their child’s journey into manhood. If your child loves video games and many of his cousins who will be attending the event share the same interest, a video gaming truck is an attraction that is sure to turn heads. You can select a variety of games for this experience, from racing games to sports games to adventure games. Try to stay away from combat games, as they don’t pair well with the sacred nature of the day. When your children graduate from the eighth grade, you may face some resistance for them to hang out at home instead of go out with their friends. If you’re concerned about them going out alone, make your property more appealing by renting a video gaming truck. You can arrange for the truck to arrive early in the party and then have the adults head into the house to let the children have fun in the driveway with the video games. After the gaming session is over, everyone can get together in the backyard for a barbecue to celebrate the special occasion. If you’re looking for a fun way to keep your guests entertained at your next party or event, consider renting a gaming truck. Gaming trucks have everything you and your party guests for a little friendly competition. Choose from multiple consoles and a variety of great games while relaxing in a temperature controlled space. It is helpful to set time limits so that each guest gets a chance to play in the gaming truck. However, the time limits should be reasonable so that they promote, rather than hinder, gaming fun. Take into account the following items to make sure your time limits make sense. In addition to the single player option, some video games have the option for online multiplayer play. Once an online match starts, expect the match to last anywhere from 10 to 20 minutes, depending on the game. Switching players during the middle of a match isn’t feasible for most games and can limit the players’ enjoyment. Instead, see that your time limits match up with the time required for online matches. Or, instead of a time restriction, you could limit players to playing one match at a time. Games with online play may have a waiting period to allow other players to join so that the match is as close to the maximum capacity as possible. If the game has this waiting period, add a couple of extra minutes to the playing time, or go with the match limit instead. When playing a video game, the load times decrease the amount of time that gamers are able to spend actually enjoying the game. This is especially true for games with the online multiplayer mode. Slow internet speeds and gaming network glitches also contribute to longer than normal load times. You may have flashbacks of gaming as a child when you had to wait for what felt like an eternity for your sibling to finish so that you could have a turn. Fortunately, gaming trucks have revolutionized group gaming thanks to their large capacity. If the weather is nice at your event, you can even expand this capacity by hiring a gaming truck with the option for exterior play. With so much space, you can institute longer playing limits, especially if no other guests are waiting to use the gaming truck. For more information on gaming trucks, check with companies like Out of Control Gaming. A truck for you and a truck for the kids? Well, that is the way it should be when you want to keep the peace while travelling, right? Except in this case the truck you rent for the kids is a video gaming truck. Here is how this would, and could, work. You may not want all the bleeps and bloops amid the sounds of the forest, but that is okay because a gaming truck can actually be closed off so that very little of the sound can be heard outside. While it does not quite fit in with camping, it does fit with glamping, the latest trend of camping in a glamorous style. The kids can be entertained for hours while the adults enjoy the peace, quiet, and serenity around them. You can schedule the gaming truck and arrange for it to meet you at your glamping site, then turn the kids loose and shut the gaming truck doors. Normally video gaming trucks are rented for special events or rented for a weekend when you have lots of kids and teens who need to be occupied while you work on something major (like a home remodeling project). However, some owners allow you to rent the gaming truck and take it with you on your weekend or week-long adventures on the road. This means that you either tow the video gaming trailer behind you and then open it for play when you stop to rest or you hire a driver to follow you with the truck wherever you plan to go. Most video gaming truck owners and businesses are flexible so long as you pay in advance. If you have a few thousand extra just lying around, you could deck out your own truck or trailer as a gaming truck. You will need a lot of sound equipment, one or two flatscreen TVs, and the video game consoles, games, and accessories. Your licensed teen could even drive it on your road trip. When you are done with it on vacation, keep it as is or sell it to a video game truck business that could always use a spare truck for parties. For more information, contact local professionals like Out of Control Gaming.